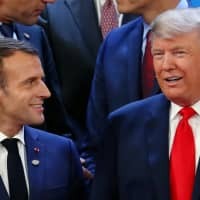 PARIS - The French government on Sunday urged Donald Trump not to interfere in French politics after the U.S. president posted tweets about the protests rocking the country and attacked the Paris climate agreement. 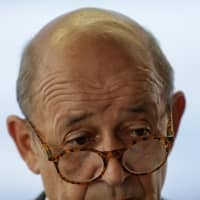 “We do not take domestic American politics into account and we want that to be reciprocated,” Foreign Minister Jean-Yves Le Drian told LCI television. Trump had on Saturday posted two tweets referring to the “yellow vest” anti-government protests that have swept France since mid-November and sparked rioting in Paris. “Very sad day & night in Paris. Maybe it’s time to end the ridiculous and extremely expensive Paris Agreement and return money back to the people in the form of lower taxes?” he suggested. Trump had earlier posted: “The Paris Agreement isn’t working out so well for Paris. Protests and riots all over France. The protests in France are not directly linked to the Paris climate agreement, which was signed in 2015 and has since been abandoned by Trump, to the dismay of French President Emmanuel Macron and other Western leaders. Spurred by rising fuel prices — in part due to tax hikes aimed at helping France shift to a lower-carbon economy — the “yellow vest” protests have grown into a broad movement against Macron’s policies and governing style. Other French politicians have also responded angrily to Trump’s latest tweets, including a lawmaker from Macron’s party who dubbed the U.S. leader “Donald the Senile. “DON’T INSULT MY COUNTRY DOTARD,” Joachim Son-Forget posted, employing an antiquated insult previously used against Trump by North Korean leader Kim Jong Un. Trump had weighed in on the protests in previous tweets, deploring the “large and violent French protests. 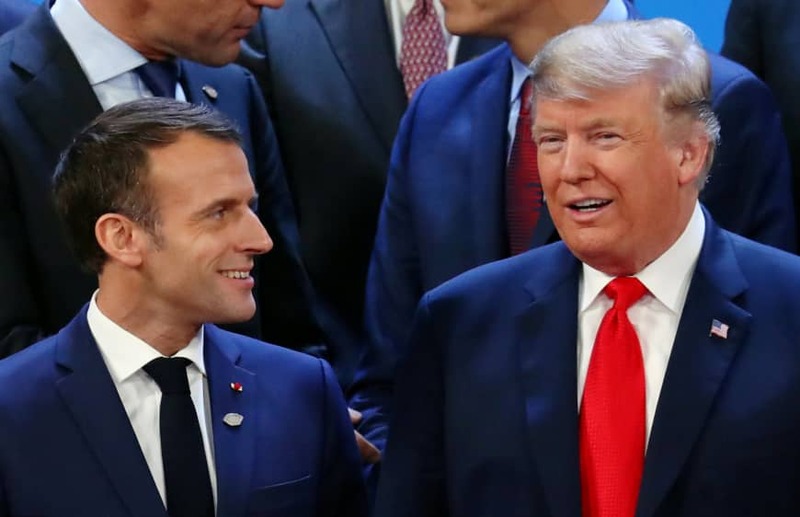 Despite their differences — Macron is a 40-year-old centrist and Trump a 72-year-old rightwinger — the French and U.S. leaders initially enjoyed warm ties. But relations have soured in recent months, not least over Trump’s rejection of the climate agreement and hard-fought Iran nuclear deal. Last month a fresh row blew up after Macron gave an interview calling for a “European army” and arguing that Europe needed to be more independent from the U.S. in its defense policy. Macron is further thought to have riled the U.S. president during commemorations marking the end of World War I when the French leader took aim at Trump-style nationalism in his speech. He expressed concern over remarks among some protesters calling for an “insurrection” in France. 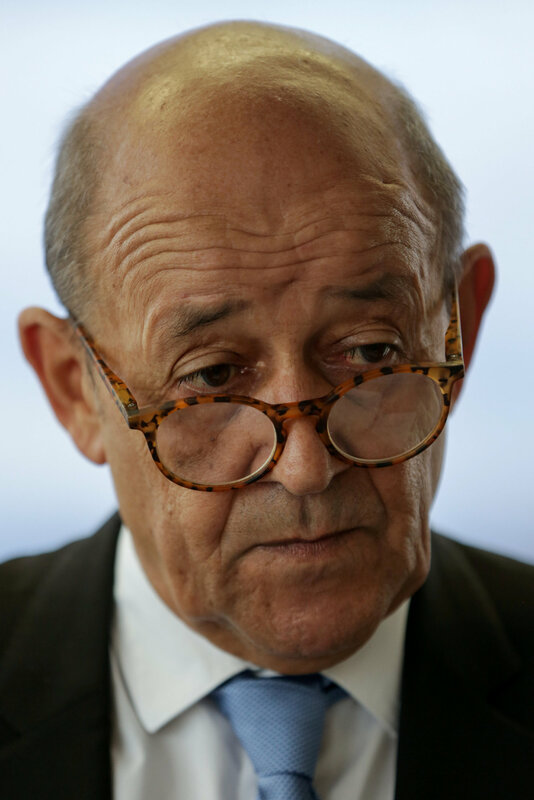 “As foreign minister I travel around the world and I know — you can witness it in certain countries — how fragile democracy is,” Le Drian said.